Note: If you are unfamiliar with nootropics, please read this brief introduction to nootropics before this review. Phenibut is a neuro enhancer, or nootropic, that is sold as a nutritional supplement in capsule or powder form. In other countries, such as Russia, it is actually marketed and sold as a psychotropic drug. Phenibut is known for its anxiolytic effects. In other words, it is anxiety relieving and oftentimes prescribed for stress and anxiety disorders. You can get it without a prescription in the U.S. though, although the FDA has been cracking down on the supplement. Phenibut works as a GABA agonist, which is similar to what benzodiazepines like Xanax and Valium do. It also stimulates one’s dopamine receptors, which is where the nootropic–or cognitive enhancing–aspect of the substance comes in play. So how well does Phenibut work? Pretty damn well, in my experience. But everyone’s brain is different, so your mileage may vary. Since the FDA is cracking down on the nootropic market, you can’t buy Phenibut from large online retailers like Amazon anymore. The good ol’ days have come and gone, unfortunately. Worry not, however, for the substance is still obtainable young Padawan! A quick scour of online forums, however, indicates that the typical dosage for most people ranges anywhere from 1.5 grams to a whopping 10 grams. 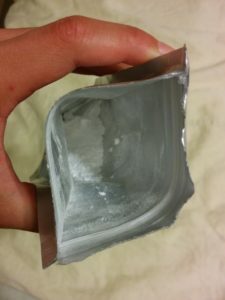 Phenibut has a median lethal dose, or LD50, of about 900mg/kg in rats, so in human terms, it’s pretty much impossible to overdose on this stuff. • Very late and gradual onset. A common mistake plebeians make when they first try Phenibut is they redose early because they think it’s not working on them. They are usually wrong though, and end up passing out from taking too much. The compound takes about 2-3 hours to fully take effect, so BE PATIENT. • Very long duration. Again, Phenibut has a half-life of like, 5 hours. That’s LONG considering you’re dosing in grams. • Significantly less anxiety. I’m not an extremely anxious person, but I do think I experience a little more anxiety than the average individual. I noticed a distinct decrease in social anxiety and anxiety in general. • Relaxation. On Phenibut, everything in life is just smoooooooooth as butter. • Increased desire to socialize. On Phenibut, it’s like, “hey is that that guy that I hate? Lemme go strike up a conversation with him!” or like, “hey is that the person I usually don’t care to speak to? What the hell, I want to exchange many many words with him/her!” I’m pretty sure this effect is due to the dopamine stimulation. • Overall content feeling. On Phenibut, anything you’re doing seems A-Okay. I vividly remember the first time I tried Phenibut I was doing some academic reading after it kicked in. The reading was pretty dense, which sometimes frustrates me. But this time I noticed that I was just…content. I was happy to be reading a rather dull and convoluted philosophy article regarding the ethics of climate change and responsibility. Woopee. Phenibut, you’re like a nice massage. You get me all relaxed. Thanks buddy. If you enjoy our content, please consider subscribing to our site via the form in the bottom footer of this page or the top of the left sidebar. We really appreciate your support and engagement, and value any feedback immensely. If you subscribe, you will be notified once a new review is published. No spam. We promise. Phenibut is great for anxiety relief and works consistently well. Just don't get addicted! 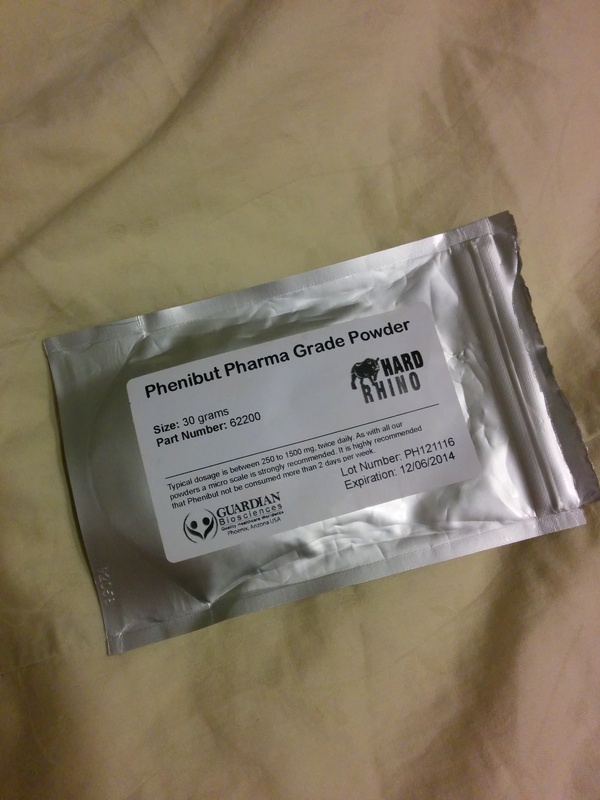 I bought my Phenibut from Hard Rhino, but you can also buy it from Smart Powders and many other places! If you've tried Phenibut, submit your rating below or leave a comment!